I’m delighted to be visiting the PRSA Tucson chapter this spring to talk about “The Art & Science of Behavioral PR Research: Effective Strategies For Measuring Outcomes and Return On Investment”. To give you a sense of what I’ll be talking about on April 23rd, read on! Choosing the right strategies (for example, using the best methodologies for collecting data you need from the right target audiences) and asking the right questions the right way will insure that you are on a productive path to getting the information you need. In many cases, your best measure of success will be the behavioral outcomes you achieve as a result of your researched-based campaign. For example, if your goal was to increase membership by 30% this past year, you can measure your success by the numbers – you either hit that target, or you didn’t. If the proposal for a new Walmart is accepted by your town – and you are Walmart – that is a measure of success. Use creativity in your data collection strategies. To get feedback on the newsletter at a national laboratory we counseled, we polled employees passing through the on-site cafeteria – which is where most people grab a copy to read at lunch. 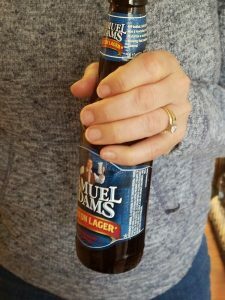 To test perceptions and barriers to purchasing beer, we stood by beer cases in select stores and waited for the customer to put their hand on the beer they planned to purchase before asking questions about why they made their choice. Think about your target audience and the best way (as well as the best time) — to capture their feedback. Ask the right questions. Finding out if a potential customer is aware of your product or service is a good first step, but don’t you want to go deeper to find out their behaviors around that product or service? Would they recommend it to others? Have they done so in the past? How likely are they to try an upgraded version of the product or service at a slightly higher cost? Why or why wouldn’t they do that? Ask your questions the right way. Avoid biased or “leading” questions. Vary your scales to make the respondent really think about the answers, in order to avoid “auto-response” and the tendency to check the same number of the scale for every question. Include some “open-ended” questions to get valuable data about the “why” behind the question. Anticipate the cross-tabulations you’ll want before you finalize the survey. Choose methodologies with a double purpose. Research can be an opportunity to educate as well as measure. To get a handle on the energy-saving behaviors customers were doing now and would consider in the future, we asked about everything from unplugging appliances when they were not in use to buying LED light bulbs to purchasing solar panels. When helping a public health network identify behaviors around preventing Lyme disease, we used a “pre” and “post” test to measure the jump in knowledge levels and likely behaviors as a result of a presentation on that topic. For more information about behavior-based research, register for “The Art and Science of Behavioral PR Research: Effective Strategies For Measuring Outcomes and ROI” sponsored by the Tucson PRSA Chapter on Tuesday, April 23, 2019 from 9 a.m. – 1 p.m. For more information about Robin Schell, APR, Fellow PRSA or Jackson Jackson & Wagner, visit www.jjwpr.com or email Robin at rschell@jjwpr.com.